The Maldivian economy grew at 8.5 percent in 2014, the central bank has said. Growth was driven by a solid increase in tourist arrivals and the strong recovery of the construction sector. The government’s fiscal performance in 2014, however, was weaker than anticipated due to shortfalls in revenue and overspending on recurrent expenses, the Maldives Monetary Authority said in its Annual Economic Review. The International Monetary Fund (IMF) in March provided a much lower figure of five percent for economic growth, and highlighted the need for improved data collection on macroeconomic statistics. According to the MMA, the government’s total debt reached 65 percent of GDP in 2014, while the fiscal deficit stood at MVR1.6billion or 3.4 percent of GDP, higher than the estimated MVR1.3billion or 2.8 percent. The tax authority has meanwhile collected MVR951.3million (US$61.9million) in tax revenue in March. The figure is 2.7 percent higher than forecasted as several tourism companies had paid late land rents and fines after the Maldives Inland Revenue Authority (MIRA) froze the accounts of some 20 businesses in April. MIRA has received MVR 5.61 billion (US$ 360 million) in revenue this year, an increase of 27.3 percent compared to 2014. The tax authority, however, did not state if revenue collection meets targets. Some 1.2million tourists brought in an estimated US$2.6 billion to the Maldives in 2014. Arrivals grew by 7 percent and was largely driven by arrivals from China. European arrivals recorded a marginal growth due to a decline in Russian tourists. Meanwhile, total tourist revenue remained buoyant and grew by 13% (20% growth in 2013) to reach an estimated US$2.6 billion during 2014. The significant difference between the growth in revenue and bednights may reflect the increase in tourist expenditure on high-end services in the industry, the MMA said. Airline movements by international carriers, such as Mega Maldives, Cathay Pacific and budget airlines such as Tiger Airways, also increased during the year, and facilitated the growth in tourist arrivals. Three new resorts were opened, increasing total registered number of resorts in the Maldives to 112. Registered guesthouses reached a total of 216. Some 80 new guesthouses were registered at tourism ministry, but only a total of 95 in operation. The construction sector bounced back from two consecutive years of negative growth. The revival was mainly due to the ease in obtaining construction materials after India waived restrictions on the export of stone aggregate to in March 2014. This allowed the resumption of large-scale public sector infrastructure projects and major housing projects, the MMA said. The fisheries sector declined by 6 percent, following a strong growth of 8 percent in 2013, due to a decline in fish catch, and also because of the significant dip in international tuna prices. The fishing industry in the Maldives represents about one percent of GDP in 2014. It accounted for 10% of total employment in 2010. Export revenue from fish and fish products accounts for 47 percent of merchandise exports. 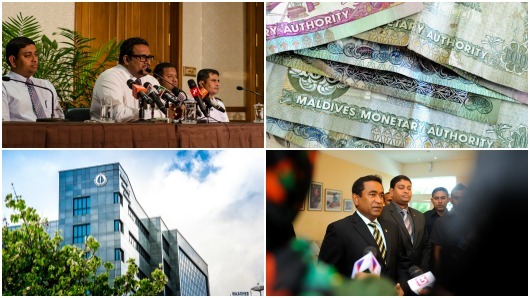 The government collected some MVR14.5billion in revenue in 2014. But total revenue fell short of the target as some of the new revenue measures planned in the budget did not materialize. The implementation of of a T-GST hike – from 8 percent to 12 percent – was delayed from July 2014 to November 2014; tourism tax, initially anticipated to be collected throughout the year was only collected from February to November. There was a “considerable shortfall” from the lease period extension fee collected during the year. The lump-sum resort acquisition fee from the 12 new islands planned to be leased out for resort development did not materialize either. As a result, total revenue was MVR351.0 million less than budgeted and amounted. The total expenditure of MVR16.5 billion was slightly lower than budgeted, but only because the government stopped spending on development projects and redirected funds to financing recurrent expenditure. In the banking sector, the main area of concern continued to be credit risk, as indicated by the high level of poor-quality loans. Non-performing loans “remain a concern with a ratio of 16 percent,” the MMA said. Gross international reserves increased to US$614.7 million at the end of the year. Out of this, usable reserves accounted for US$143.9 million. The “marked expansion” owed to the improvement in foreign currency receipts of the government, the MMA said. The Maldives Inland Revenue Authority (MIRA) has warned of impersonators collecting information from shops and other taxpayers. In a public announcement today, MIRA said its staff will show identification passes when they visit taxpayers and advised businesses against imparting any information to impersonators. The tax authority also urged the public to alert the authorities of any persons falsely claiming to be a MIRA employee. Opposition politician Gasim Ibrahim’s Villa Group has announced it will not be able to pay salaries of more than 4,500 employees after the government froze its accounts last week over unpaid fines. The conglomerate – which operates businesses in shipping, import and export, retail, tourism, fishing, media, communications, transport, and education – says the government’s US$90.4million claim is unlawful and is contesting it at the civil court. The opposition says the government is targeting Gasim’s businesses because of his split from the ruling coalition in January. “This company’s revenue has suffered since last November. The struggle to balance the company has been brought to a halt by the government propaganda’s, blatant lies and the freezing of our accounts,” managing director Ibrahim Siyad Gasim said in a memo sent to all employees on Wednesday. Human resource manager of Villa Shipping, Ibrahim Moosa said the memo will apply to more than 4500 employees of Villa Shipping and subsidiary companies. “This is a very difficult situation for the company. I plead with our staff to stay with us. God willing we will overcome this situation,” he said. A journalist from Villa TV, also owned by Gasim, said the memo does not come as a surprise. “They put out a memo a few weeks back saying some employees might be sacked due to the circumstances. Also there was another memo issued back in November. We have not been paid April’s salary yet,” she said. Another employee at Villa’s domestic airline Flyme said staff had been paid half of their salaries and half of a transport allowance for March. “All of us at Flyme understand what is happening. We know that Gasim is really being squeezed financially,” he said. Since the notice was issued, Gasim has not been seen in opposition protests or made any comments on the imprisonment of ex-president Mohamed Nasheed and ex-defence minister Mohamed Nazim. However, JP MPs and council members are part of a new coalition formed between the main Maldivian Democratic Party, the Adhaalath Party, defectors from the ruling coalition and members of Nazim’s family. In an appearance on Villa TV in April, Gasim said two European banks have cancelled loans worth US$80 million due to media reports of the notice. Unfairly freezing Villa’s accounts would “impoverish thousands of citizens” and one of the largest companies in the country will “head towards bankruptcy,” he said. The Maldives Inland Revenue Authority (MIRA) issued the US$90.4 million notice after the tourism ministry terminated agreements for several properties leased to Villa and subsidiary companies for resort development. Some 27 cases challenging the termination of the agreements and MIRA’s notice as well as appeals of the civil court’s refusal to grant stay orders are ongoing at court. Villa – which won the tax authority’s “Ran Laari” award last year as one of five companies that paid the highest amount to the state – insists it does not owe any money to the state. But the civil court last month refused to issue stay orders until the conclusion of the dispute, saying the state could reimburse and compensate the company if the ongoing cases are decided in Villa’s favour. MIRA’s notice stated that Villa owed US$75.5 million as fines, US$600,000 as interest, and US$14.8 million as unpaid rent dating back to original lease agreements signed in 2006 and 2007. A second notice for the payment expired on April 18, but the Maldives Inland Revenue Authority (MIRA) did not freeze the company’s accounts saying the move may negatively affect the Maldivian economy, local media have said. The JP has since accepted an offer by President Abdulla Yameen to commence talks. The central bank has frozen the accounts of several companies owned by opposition Jumhooree Party (JP) leader Gasim Ibrahim, over a US$90.4 million payment allegedly owed as unpaid rent, fines and interest on several properties leased for tourism. The Villa group has refused to make the payment and is contesting the tax authority’s claim at the civil court. Gasim has accused the government of unfairly targeting his business interests. The Villa group operates businesses in shipping, import and export, retail, tourism, fishing, media, communications, transport and education. Only the accounts of companies which hold the properties were frozen. They are Villa Shipping, Villa Holidays, Gazeera Pvt Ltd and Maanenfushi Pvt Ltd.
Villa officials on Tuesday told local media the accounts slated to be frozen are empty. But the Maldives Inland Revenue Authority (MIRA) says the government can suspend all services to the company, including customs clearance and foreign work visas, if it is unable to recover owed sums through the frozen accounts. MIRA issued the US$90.4 million notice in February after the tourism ministry terminated agreements for several properties leased to Villa and subsidiary companies for resort development. The move followed Gasim’s JP forming an alliance with the main opposition Maldivian Democratic Party. However, the government denies the opposition’s accusations of unfairly targeting Gasim’s business interests. The properties at stake were leased under a settlement agreement signed with the tourism ministry on December 12, 2013, less than a month after president Abdulla Yameen took office. The notice for payment expired on April 18, but MIRA did not freeze the company’s accounts saying the move may negatively affect the Maldivian economy, local media reports. The Villa group has previously said freezing its accounts will “send shockwaves” through the Maldivian economy. “It is not only Villa’s shareholders’ and the company’s rights that are lost [if bank accounts are frozen]. The rights of a lot of employees who work at the company, small and medium-sized businesses dependent on this company, guests who have made bookings at our resorts, tour operators, and many other people, would also be lost,” Villa Group’s executive director Shimad Ibrahim had said. The Villa group employs over 5,000 people. The central bank has also frozen the accounts of JH Resorts Pvt Ltd, the Maldives Tourism Development Corporation, Asia resorts, Yacht Tours Pvt and Medhufushi and the accounts of AAA Pvt Ltd. Since the notice was issued, Gasim has not been seen in opposition protests or made any comments over a crackdown on the opposition, including the arrest of JP deputy leader Ameen Ibrahim on May 2. If the government is unable to recover sums owed to the state by freezing a company’s accounts, it can suspend all services to the company, including customs clearance and foreign worker visas, the Maldives Inland Revenue Authority (MIRA) has said. The tourism ministry yesterday ordered the tax authority to freeze the accounts of all companies with pending bills, including that of the opposition Jumhooree Party leader Gasim Ibrahim’s Villa group. But Villa officials today told local media that the accounts of the holding company, the Villa Shipping and Trading Pvt Ltd, are empty. The government is seeking US$90.4 million allegedly owed as unpaid, rent, fines and interest on several properties from Villa group. The conglomerate – which operates businesses in shipping, import and export, retail, tourism, fishing, media, communications, transport, and education – says the notice is unlawful and is contesting it at the civil court. The notice for payment expired on April 18, but MIRA did not freeze the company’s accounts, saying the move may negatively affect the Maldivian economy, local media has said. Executive director of finance at Villa, Shimad Ibrahim, told Haveeru today that the company’s accounts were empty before the government’s decision to freeze accounts. “We knew we were going to face financial difficulties before the decision to freeze the accounts. We were set to get a loan to offset the downturn, but that loan was cancelled due to these issues. That is why the company’s accounts are empty,” he said. Speaking to Minivan News, Fathuhulla Jameel at MIRA said the authority’s enforcement policy allows it to order government offices to suspend all services to the company, and ask the civil court to set an arrangement to recover funds if the company’s accounts do not hold the owed sums. MIRA issued the US$90 million notice after the tourism ministry terminated agreements for several properties leased to Villa and subsidiary companies for resort development. The move followed Gasim’s JP forming an alliance with the main opposition Maldivian Democratic Party (MDP). However, the government denies the opposition’s accusations of unfairly targeting Gasim’s business interests. While the tourism ministry cited lack of “good faith” as the reason, the Villa officials insisted the terminations were unlawful and that the fines were “fabricated”. Since the notice was issued, Gasim has not been seen in opposition protests or made any comments on a deepening political crisis triggered by the arrest of opposition politicians. JP’s deputy leader Ameen Ibrahim was also arrested last week after clashes between protesters and police following a 20,000 strong anti-government march. The tourism ministry has ordered the tax authority to freeze the accounts of companies with pending bills, including that of the opposition Jumhooree Party leader Gasim Ibrahim’s Villa group. The government is seeking US$90.4million allegedly owed as unpaid, rent, fines and interest on several properties from Villa group. The conglomerate – which operates businesses in shipping, import and export, retail, tourism, fishing, media, communications, transport, and education – says the notice is unlawful and is contesting it at the civil court. The notice for payment expired on April 18, but the Maldives Inland Revenue Authority (MIRA) did not freeze the company’s accounts saying the move may negatively affect the Maldivian economy, local media have said. According to Haveeru, the tourism ministry’s order to freeze accounts came in response to a letter from MIRA, in which the tax authority said freezing Villa’s accounts could have adverse impacts on the economy. In response, the tourism ministry ordered MIRA to freeze the accounts of all companies with pending bills. Some 20 companies, including Villa Shipping and Trading Pvt Ltd, now face an accounts freeze. Since the notice was issued, Gasim has not been seen in opposition protests or made any comments on a deepening political crisis triggered by the arrest of opposition politicians. JP’s deputy leader Ameen Ibrahim was also arrested last week after clashes between protesters and police following a 20,000 strong antigovernment march. The settlement agreement was reached after the Supreme Court on November 19 ordered the state to pay US$9.7 million to Villa in one month as compensation for damages incurred in a project to develop a city hotel in Laamu Kahdhoo. As part of the settlement, Villa withdrew cases involving a dispute over a city hotel in Haa Dhaal Hanimadhoo and resort development on Gaaf Dhaal Gazeera. In return, the government signed five ‘amended and restated lease agreements’ with Villa for three islands and several Kaafu atoll lagoons. The government also agreed to forgo rents for the islands and lagoons for a construction period of five years and seven years, respectively. However, after the settlement agreement was terminated in February, MIRA’s notice stated that Villa owed US$75.5 million as fines, US$600,000 as interest, and US$14.8 million as unpaid rent dating back to original lease agreements signed in 2006 and 2007. The Villa officials noted that the company has paid over US$15 million as advance payments for the properties. In the case of Kahdhoo, MIRA claimed an unpaid rent of US$293,000 and a fine of US$10 million – 34 times the allegedly unpaid rent – despite the 2013 Supreme Court judgment declaring Villa does not owe rent for the property, the officials said. The tax authority has introduced an online payment service and a special bank card for taxpayers. The Maldives Inland Revenue Authority (MIRA) introduced a mechanism for making tax payments at commercial banks through the central bank’s ‘Maldives real time gross settlement’ facility. MIRA also launched the ‘Vaaru’ debit card in association with the Bank of Maldives, which can be used to make tax payments. The new services were launched at a ceremony held at the Maldives Monetary Authority today with finance minister Abdulla Jihad as the chief guest. Jihad said MIRA was a taxpayer-friendly institution and that the new services will improve the Maldives’ standing in the ease of doing business index. The online payment system will save the time and resources of both MIRA staff and taxpaying businesses, he said. Taxpayers will have to register at the MIRA website for the online payment service. The tax authority is set to freeze Jumhooree Party leader Gasim Ibrahim’s Villa Group’s accounts after the company refused to pay a US$90million fine as an extended deadline expired today. The Maldives Inland Revenue Authority (MIRA) said Villa had been given an additional day today as the original deadline of April 18 fell on a Saturday. MIRA “will not hesitate to take direct action on any business which fails to pay due fines or payments,” director general Fathuhulla Jameel said. The Villa Group maintains the US$90million is unlawful, while the opposition says the surprise claim was aimed at harming Gasim and destroying his businesses following the Jumhooree Party’s split from the government in January. Business secretary Ibrahim Rasheed told Minivan News the company will wait on making the payment until the civil court rules on the legality of MIRA’s 50-day notice in an ongoing court battle. 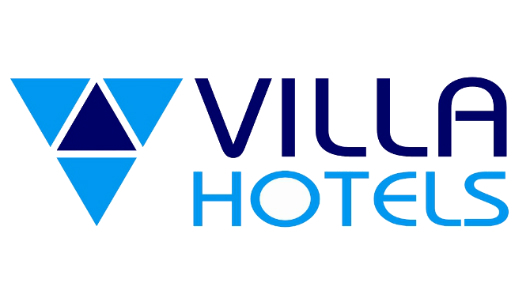 Villa Group is one of the largest companies in the Maldives with the holding company Villa Shipping and Trading Pvt Ltd conglomerate operating businesses in shipping, import and export, retail, tourism, fishing, media, communications, transport, and education. It is also the largest private employer in the country with 5000 employees. Villa’s lawyers last week warned that freezing the company’s accounts would send shockwaves through the Maldivian economy. The civil court has meanwhile denied stay orders on the US$90million fine. Some 27 cases challenging MIRA’s notice as well as appeals of the civil court’s refusal to grant stay orders are ongoing at court. Haveeru today reported that Villa had failed to pay wages to its 1,700 foreign employees this month due to cash flow problems. However, Villa has said all salaries will be paid within the week. Meanwhile, the president’s office spokesperson Ibrahim Muaz Ali today said that president Abdulla Yameen will not negotiate over ongoing court cases despite Villa’s requests for talks. “The president has said he cannot negotiate over matters that should be resolved through the courts, even if its Villa, or a businessman or any individual,” Muaz told Haveeru. MIRA’s notice issued in late February stated that Villa owed the state US$75.5 million as fines, US$600,000 as interest, and US$14.8 million as unpaid rent on several properties leased for resort development. The notice came after the tourism ministry on February 5 terminated agreements for several properties leased to Villa and subsidiary companies. The JP had formed an alliance with the opposition Maldivian Democratic Party (MDP) at the time over president Yameen’s alleged breaches of the constitution. 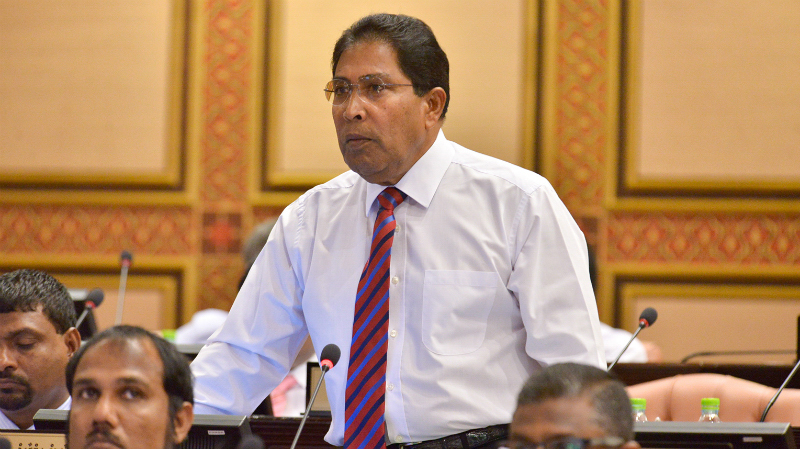 Gasim in an appearance on Villa TV on April 11 appealed for discussions with the government to resolve the dispute, insisting that Villa does not owe the “imaginary” amount. “When the judiciary made a judgement I don’t want to comment on it,” he said. The JP is remaining “silent” and presently does not have a “stand” of supporting any party, Gasim said. The party is not officially a part of the ‘Maldivians against brutality’ campaign launched by the MDP and religious conservative Adhaalath Party, he added. However, JP’s deputy leader Ameen Ibrahim and senior party officials continue to play a key role in the daily anti-government protests. The coalition has called for a mass rally on May Day in the hopes of forcing president Yameen to initiate negotiations over the imprisonment of opposition politicians and the alleged targeting of their businesses. Tourism Minister Ahmed Adeeb had meanwhile accused Gasim of hoarding islands and lagoons and refusing to pay money owed to the state. Adeeb also said the JP leader was “in hiding” after unsuccessfully seeking the presidency through his opposition alliance. Jumhooree Party (JP) leader Gasim Ibrahim’s Villa Group is facing bankruptcy with the courts refusing to issue stay orders on a US$90 million payment to the state ahead of an April 18 deadline. The civil court yesterday denied Villa’s requests for stay orders, stating the company does not face “irrevocable losses” if a notice by the tax authority to collect US$90 million in allegedly unpaid rent and fines is enforced. The rulings pave the way for the state to freeze Villa’s bank accounts after April 18. However, the court said the state could reimburse and compensate the company if the ongoing cases are decided in Villa’s favour. The JP launched daily anti-government demonstrations in alliance with the main opposition Maldivian Democratic Party (MDP) in early February. However, since the notice was issued, Gasim has not been seen in opposition protests or made any comments on a deepening political crisis. Gasim made an appearance on Villa TV on Saturday for the first time in weeks and appealed for discussions with the government to resolve the dispute, insisting that Villa does not owe the “imaginary” amount. Two European banks have cancelled loans worth US$80 million due to media reports of the notice, Gasim said. Gasim’s interview followed strong criticism from tourism minister Ahmed Adeeb at a ruling coalition rally last week. He accused the tycoon of hoarding islands and lagoons and refusing to pay money owed to the state. In response, Gasim said he is following his best judgment and suggested Adeeb’s anger might stem from insecurity or “lack of self-confidence”. However, Gasim said he does not bear “animosity towards anyone” and repeatedly said he is ready to meet president Abdulla Yameen or Adeeb at any time. Senior members of the JP are active in street protests in their individual capacity, Gasim said. The government denies the opposition’s accusations of unfairly targeting Gasim’s business following the JP’s split from the ruling coalition. The tourism ministry terminated agreements for several properties leased to Villa and subsidiary companies on February 5, shortly after the JP formed the alliance with the MDP. On February 26, a day before an MDP-JP anti-government mass rally, the Maldives Inland Revenue Authority (MIRA) gave a 30-notice for Villa to pay US$90 million allegedly owed as unpaid rent and fines for the seized properties. After the 30-day notice expired, MIRA issued a 20-day notice warning Villa that its accounts will be frozen under the authority’s enforcement policy against defaulting taxpayers. After the tourism ministry terminated the agreements, Villa filed five cases against the ministry in February, contending that the move was unlawful. Five additional cases were filed against MIRA over the US$90 million notice. In rulings during the past two weeks, the civil court refused to grant stay orders in any of the cases. Villa is currently in the process of appealing the rulings at the High Court. While the court initially granted a stay order in one case in early February, the High Court overturned the ruling. A Villa official told Minivan New today that the judge who granted the stay order was transferred to the drug court. The official explained that the properties at stake were leased as part of a settlement agreement signed with the government on December 12, 2013, less than a month after president Yameen took office. The settlement agreement was reached after the Supreme Court ordered the state to pay over US$9 million to Villa. As part of the settlement, the government signed ‘reinstated and amended lease agreements’ with Villa for several islands and lagoons. Gasim noted that Villa paid the state about US$15.8 million eight years ago as advance payment for the leased properties. However, MIRA issued the 30-day notice claiming Villa owed US$75 million as fines and more than US$14 million as unpaid rent dating back to the original lease agreements signed in 2006 and 2007. Under the settlement agreement, the government had agreed to forgo rents for the leased islands and lagoons for five years and seven years, respectively. Correction: A previous version of this article stated that the tax authority is seeking US$100 million from the Villa Group, based on statements by Gasim Ibrahim. The company has since explained that the accurate figure is US$90 million.